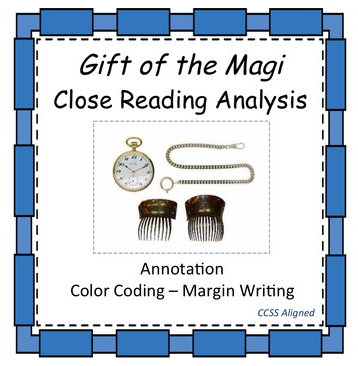 This free holiday product is a close reading analysis of O. Henry’s short story, “Gift of the Magi.” There is a teacher’s instruction page, which details how I have used this document in my own classroom, specifically targeting the importance of the gradual release process. A full sample annotation packet is also included. This text lends itself to teaching students the importance of annotation targeting vocabulary, textual evidence for setting and characterization as well as allusions. Enjoy this timeless story as your students get practice using the close reading strategy!